From a presentation by Peter Zidar in the Small Cells Global Congress 2012. 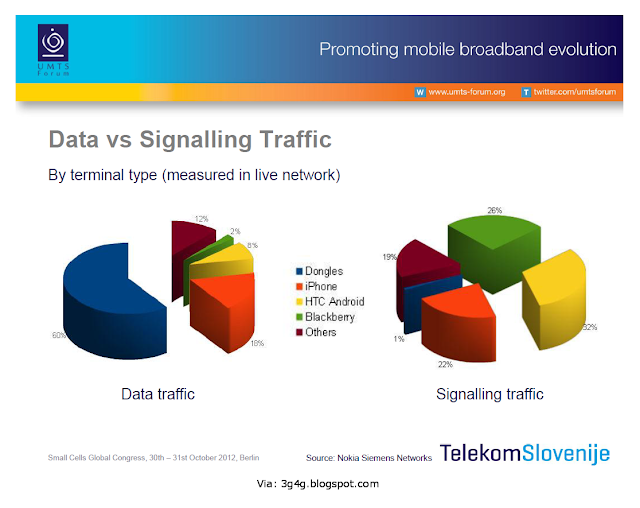 The above picture shows that even though the amount data traffic carried by dongles is much more than the amount of traffic carried by the mobile phones, the amount of signalling is far higher from the mobiles than that of dongles. This is mainly because the mobiles need to conserve the battery power and for this reason they disconnect from the network as soon as there is no need for exchange of data. Remember the Fast Dormancy issue in the smartphones? If not see this post. I have blogged about FaaS in the past that is now undergoing trials. 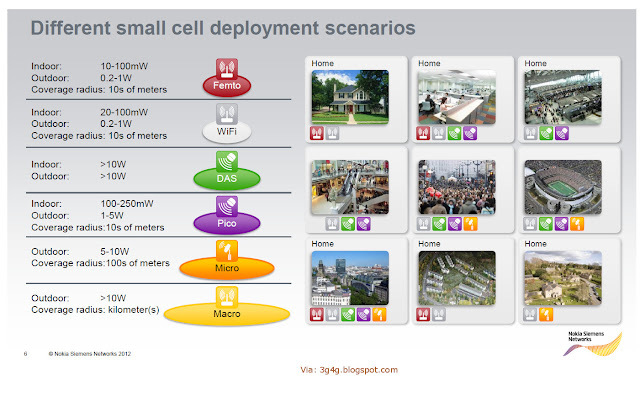 I also blogged about SCaaS from our last Cambridge Wireless event that shows the seperation between the operator and the services provided by Small Cell service provider. In the recent Small Cells Global congress, Kevin Baughan from Virgin Media gave an interesting talk on their recent trials. This is the architecture they are proposing. 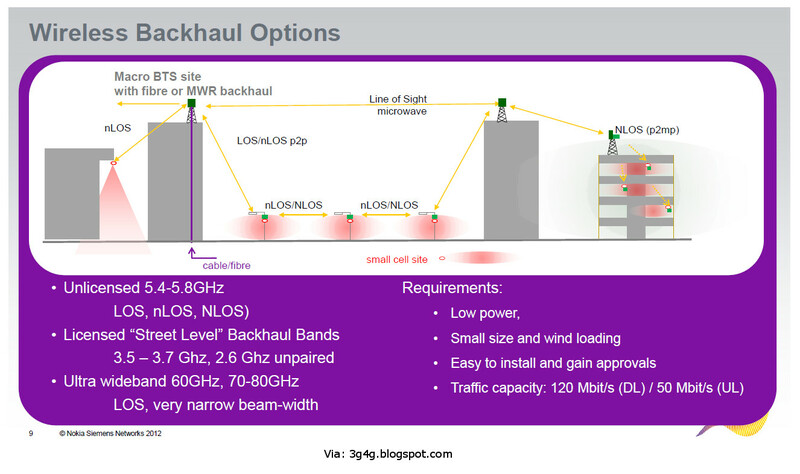 They would do site acquisition and maintenance, provide the backhaul and power, any mobile network operator (MNO) can come and put their small cell on the furniture to provide the coverage. I am not sure if multiple operators would pitch for the same sites but I wouldnt think of this as a problem as I am sure there would be multiple sites available in the same location. 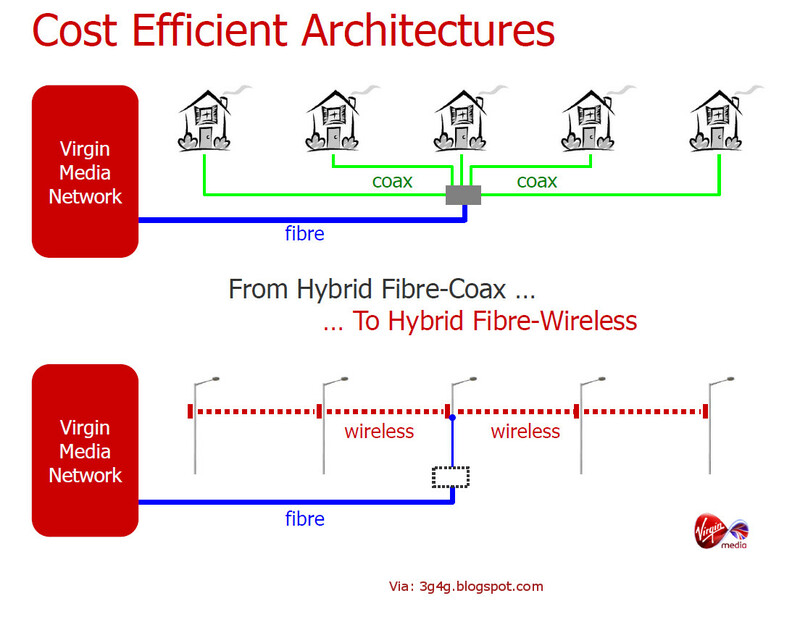 A real killer from Virgin media could have been that it does something similar to Free, the French mobile operator that has apparently got Femtocells inbuilt in the set top boxes. 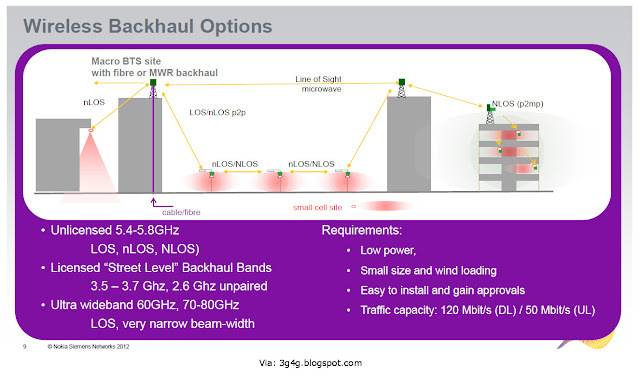 We will have to wait and see how many operators are willing to have third party host their small cells and how many. My presentation from the Small Cells Global Congress 2012. Please note that this presentation was prepared at a very short notice so may not be completely accurate. Comments more than welcome.